Welcome to the official site of the Native Village of Gakona! Our Mission is to exercise self-determination for the benefits of the tribe to increase devices that will meet social, health, and community development needs with our community. Our Vision for the community is to live health-conscious lifestyles. Our Purpose is to work together in unity and faith for a better tomorrow… and for a strong people. The Native Village of Gakona is located at the confluence of the Copper and Gakona Rivers in the Ahtna region of Alaska. Gakona means Rabbit River. The village lies at Mile 4.8 on the Tok Cutoff just east of the Richardson Highway. 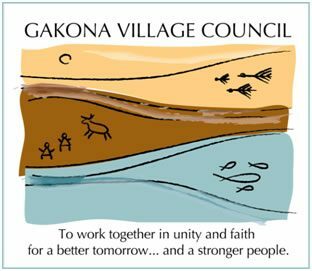 The NVG is a federally recognized Tribe, and the Gakona Village Council is the governing body for the village.